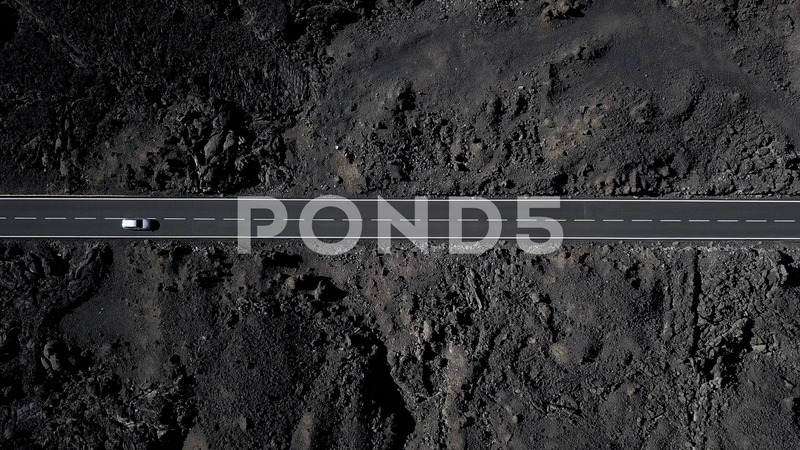 Description: The road with white lines is surrounded by black volcanic lava. Sticking rocks. Dangerous adventure of incredible beauty. Top view, drone footage. Minimalistic landscape. Gray cars in motion.